New low prices for 2018! If you’re replacing a POS system, get no payments for up to 12 months with our VIP Program. 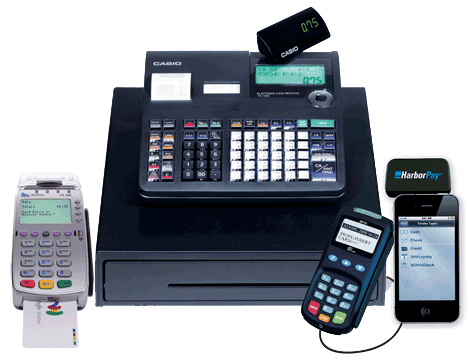 Harbortouch Elite POS systems cost $49 per month with a required $20 per month support fee (per POS terminal). These prices apply to our Hospitality, Bar & Restaurant, Retail, QSR, and Salon & Spa POS systems. 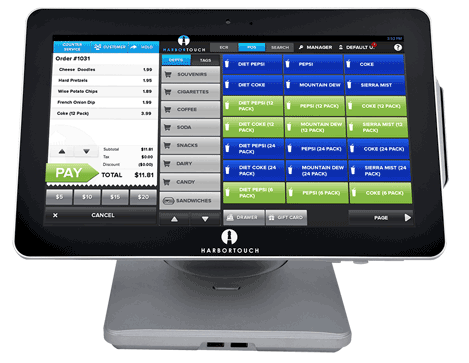 Harbortouch Echo POS costs $29 per month with no monthly support fee and a $79 annual support charge. All prices are valid with a 3-year service agreement from Harbortouch. So here’s how the Harbortouch program works – our complete POS hardware and software packages are free (excluding any optional hardware or software). We do not charge up front for any of those hard costs – which can cost Harbortouch thousands of dollars to place systems in your business. The monthly fee covers service and maintenance cost, hardware warranty, 24/7 support, and free paper supplies. Harbortouch is a merchant services company and to recoup our investment in your business; we require that you process credit cards through our processing company. Harbortouch rates for merchant services are very competitive. If you find lower credit card processing fees, let us know, and we’ll match or beat them! So don’t pay exorbitant out-of-pocket money for a new POS system, especially if you don’t even know if you’re going to like it. Simply do the math on any other system on the market, and you’ll discover that you can potentially save thousands of dollars by taking advantage of Harbortouch’s Free POS hardware and software offer. 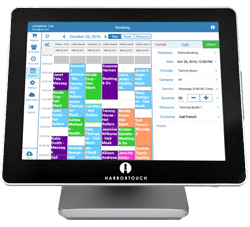 Take Harbortouch for a 30-day test drive, and you’ll receive a highly capable and reliable system, with award-winning support, at a price tag that is predictable for your business. 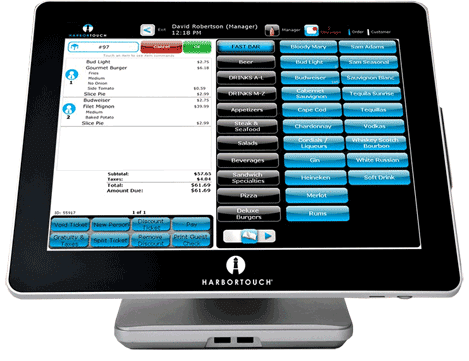 *Harbortouch’s free equipment/POS system and free hardware replacement offer requires a 3 Year Service Agreement and a Merchant Transaction Processing Agreement. For complete details, please see Harbortouch’s Terms and Conditions. Shipping costs apply for all equipment. **Our online advertised credit card processing rates are subject to credit approval and are only available from this website. Rates may vary depending on your credit and business history.